CaRVTA memberships also come with many exclusive benefits and discounts. 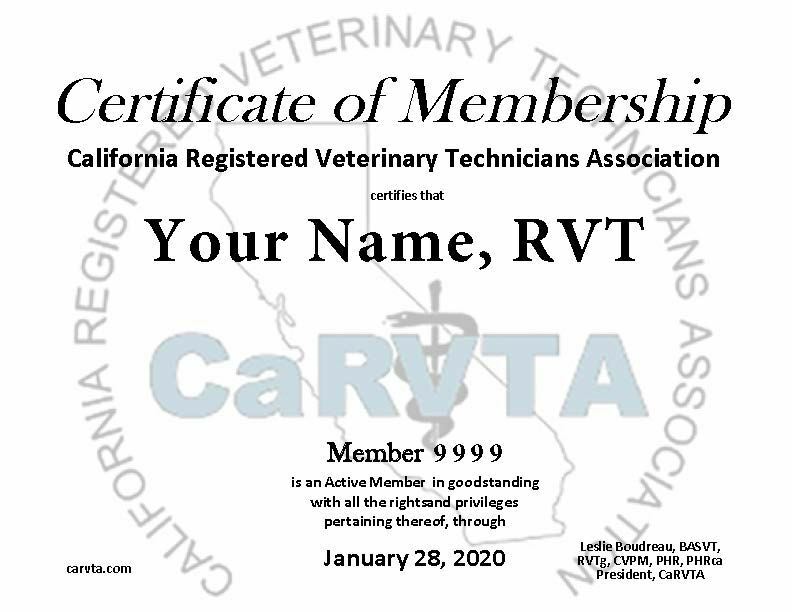 CaRVTA offers exclusive registration discounts and early bird savings to regional and national veterinary conferences. CaRVTA's annual membership meeting is traditionally held during the UC-Davis Back to School Conference. Only members attend this important update led by the Board of Directors. CaRVTA members receive up-to-date information on a variety of industry and association issues, including legislative matters, licensing issues, and association updates and conference information. Our website is visited by thousands of individuals each month, but only CaRVTA members have the ability to log onto exclusive areas of our site, including articles, discounts and more. CaRVTA depends on the active participation of our members to plan programs and events, develop educational curricula, and to continue to help our association grow. We offer several opportunities for volunteering. CaRVTA members also have the opportunity to enjoy exclusive discounts on textbooks, VASE, courses through Penn Foster College, employment attorney services, and on other professional goods and services. Listing in our Membership Directory with photos and links to your place of employment. Listing on the Available Veterinary Technicians Page - list your availability for relief work. 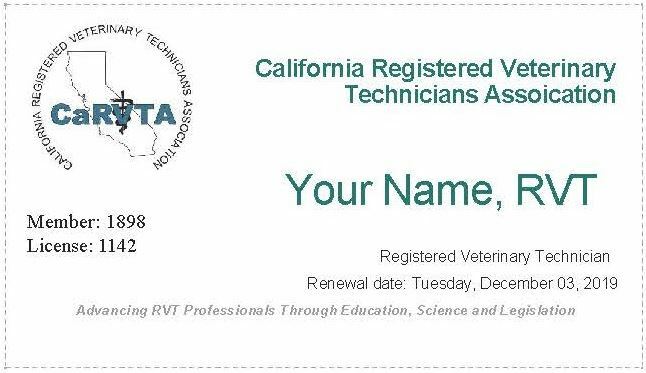 Associate Membership - NON-RVT - $45.00 (USD) Subscription period: 1 year No automatically recurring payments This level is for veterinary assistants and other practice employees that are not registered veterinary technicians. (2-10 memberships) $42.00/member - 1 month posting on website. (11-20 memberships) $40.00/member - 6 month posting on website. (+20 memberships) $38.00/member - 1 year posting the website. After payment is confirmed, you will be e-mailed your CaRVTA Certificate. You may download and print your membership CARD from your member page.